Below are my movie watchings for October. I have supplied bite-sized reviews for new films, and quick ratings for older ones. The ratings are based on a 5-Star system. A tale of the battle for control of the drug gangs at the U.S.-Mexico Border. We experience the first-hand struggles of a SWAT leader trying to quell the issues and make a difference in this never ending war. Emily Blunt plays our leader and surrogate, and since she is kept out of the loop of the secret government ops, we are also kept in the dark plot-wise. This makes for a somewhat frustrating viewing, but earns points for not holding our hand. This is a film fuelled with intensity and frustrations. Not a happy story, but finely crafted and engaging. The climatic stealth-ops raid near the end is much more visually compelling than its 'Zero Dark Thirty' counterpart, and 'Sicario' diverts us into an important twist of character perspectives in the final act (which again is way more interesting that 'Zero'). This is a structurally brave film full of intense moments and a depressing viewpoint of the world. 2015 is racking up the quality biopics! Between 'Love & Mercy', 'Selma', 'Straight Outta Compton', and this Apple magnate picture, I'm starting to enjoy biopics. The two main criticisms about this film that I've been hearing, seem invalid to me. The first, being that this is 'boring' since it only takes place over 3 days (in a 14 year span), and you are just watching 2 people converse and argue for the entire film. But I found this utterly engaging and enjoyable. With a script by Aaron Sorkin, this film is armed with the rapid-fire dialogue of intelligent people being witty. Like Sorkin's 'The Social Network' and the best stage plays, we are enthralled by the words. 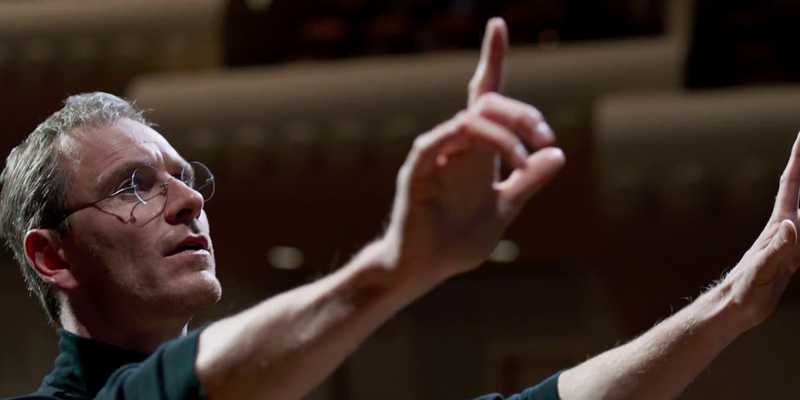 The second criticism is that this film is not an accurate portrayal of various events in Steve Jobs' life. So what? This is not a documentary, and to imagine all of the events and conversations discussed in this film occurred over these 3 days, is ignorant. Sorkin and director Danny Boyle reduce what is important thematically and play out those elements over a chapter-like timeline. The film presents itself as a play of ostensibly any human beings with drive (this could be about any type of genius, and still be as effective), it does not purport to be the defining biography. Science is fun! Much like the recent 'Everest', this is a procedural survival tale. 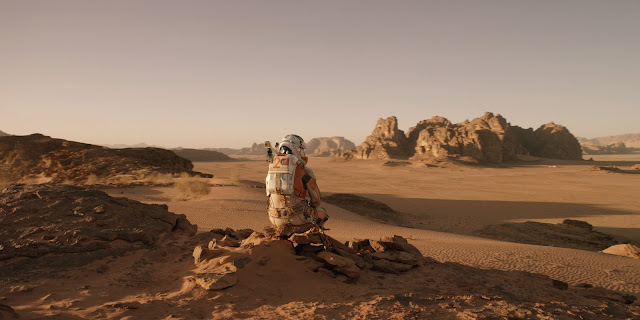 However, 'The Martian' is light years above the highest peaks of 'Everest' thanks to an engaging screenplay full of character wit and a fruitful exploration and celebration of the scientific method. Matt Damon's charm as the hapless smart-aleck maroonee is the shining light in an otherwise straightforward story. Yet, a simple story doesn't have to be plain and uninteresting, and the screenplay keeps the motor running on this film. Boiled down to its essentials, this is a tale of the collective intelligence of humanity. Our triumphs, and being able to come together for a positive outcome of survival and overcoming impossible odds. A film of hope that is sure to please anyone. Narratively and emotionally, the opposite of 'Sicario'. The story of Philippe Petit, the exuberant dreamer who illegally hung a high-wire and crossed it between the Twin Towers back in the 70's. The charm of this movie comes from our narrator (Petit) who tells his tale with such levity and enthusiasm. A man who has nothing but hope and a desire to live his dreams. Unfortunately, most of the film is a derivative heist flick and this drags it down. However, the jovial tone and the imminent 'wire-walking' third act is a marvel. Oddball director Robert Zemeckis creates some fantastic imagery through his precarious framing and an impressive sense of depth. The wire-walking simultaneously delivers a sense of exhilaration and intensity, while soothing us with a sense of calm and resolution. It is an impressive feat. Much like 'The Martian', this earns a lot of points through an optimistic outlook on life with a plucky main character. Plus, the inevitable final nod to the Twin Towers is appropriately handled and poignantly well said. It's just a shame the first two thirds of the film are so plain. Spielberg's latest offering continues his historical drama trend after 'War Horse' and 'Lincoln'. 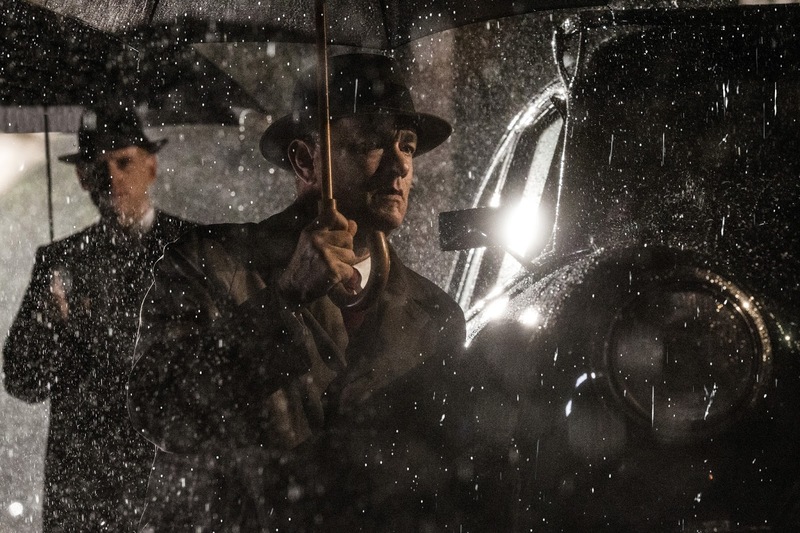 'Bridge of Spies' aligns with this tradition of an individual (or horse) standing in the face of everyone else who persecutes, in order to do the right thing. In the thick of the Cold War, Tom Hanks plays a lawyer who gets tangled up in some spy work and must find a peaceful resolution between two fearing countries, while trying to do what is morally correct. This is an extremely satisfying story of the courage we must have to do what is right. However, perhaps I miss the old (or younger) Spielberg who aimed for higher highs in his films. Although the script is very intelligent, and there is beautiful if not cloyingly repetitive imagery from his cinematographer Kaminsky, we lack the ol' Spielberg ambition in this film. Hanks does provide some levity throughout, and I would suspect a supporting nomination for Mark Rylance who plays the accused Rudolf Abel. But this lacks the bravura performance of Day Lewis in 'Lincoln', or the intensity of 'Munich', or the artistry and boldness of 'Schindler's List', or even the cinematography and music of 'War Horse'. Perhaps this is just meant to be a small-scale simple film with an outstanding cast and top notch screenplay. Not much of a "director's" movie. What starts out as a Jane Austin-type romance, turns into a ghostly haunted house tale. What is most impressive here is what was successful in Del Toro's earlier film 'Pan's Labyrinth': his ability to juggle and fuse two different story tones, and of course his production design and colour use. The interchanging between period drama romance and nightly ghost hauntings are enchanting and fit together very well. However, the scares themselves are hardly very scary. 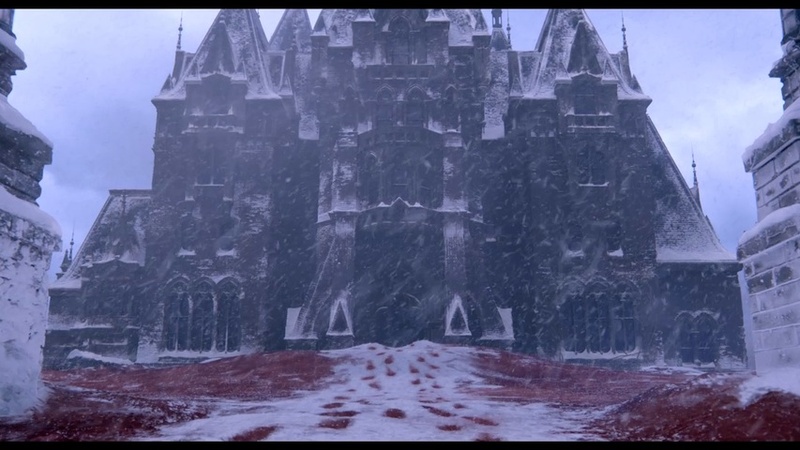 It aims for more of a haunting feeling rather than terror. Del Toro moves from lush shades of gold, brown, and white for the romance, then brings about sinister yet beautiful tones of crimson, blues, and blackness when the scares are around the corner. I would also like to give a standing ovation to the costume designer! Like Del Toro's previous movie 'Pacific Rim', the plot and the screenplay are the weak points, but the spell he casts visually is the real treat here.